We made our frame 7 by 10 feet, but size your lounge to fit your space. Using the hacksaw, cut two lengths of PVC pipe into two 7-foot-long pieces (for the width of the frame’s top). Leave two pipes 10 feet long for the length (for the width of the frame’s top). Assemble the rectangular top of the frame, inserting a T-shaped fitting at each corner. 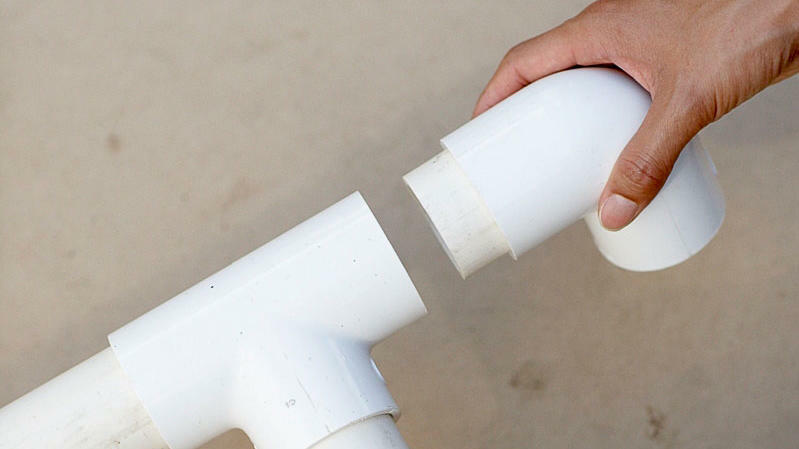 Next, cut four 1 ½-inch lengths from leftover PVC pipe to serve as connectors between the L and T joints. 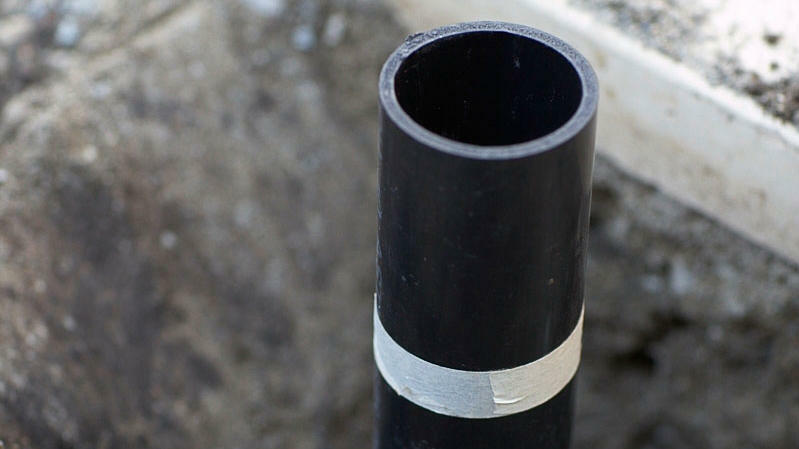 Slip one of the 1 ½-inch PVC lengths into an end of each L fitting, and fit it into the open end of each T (see photo). Aim it down toward the ground. Tip: For a snug fit, use fine- to medium-grit sandpaper to sand ends of cut pipes; remove dust, then wiggle fittings over the ends. Mark and cut four 16-inch lengths from the ABS pipe. (The lengths will function both as sleeves for the cabana legs and depth guides for the holes.) Wrap a piece of masking tape around each pipe sleeve, 12 inches from bottom end. Using post-hole digger, dig one 12-inch-deep hole for the right front leg, and place a pipe sleeve in the center (see photo). Check that it is completely vertical, using level, then backfill to hold upright. Tip: To soften extra-hard ground (like clay soil), start digging the hole, then fill it with water. Let soak overnight and start digging again. The assembled top will help you determine where to position the remaining holes. Cut four remaining PVC pipes into 8-foot legs. 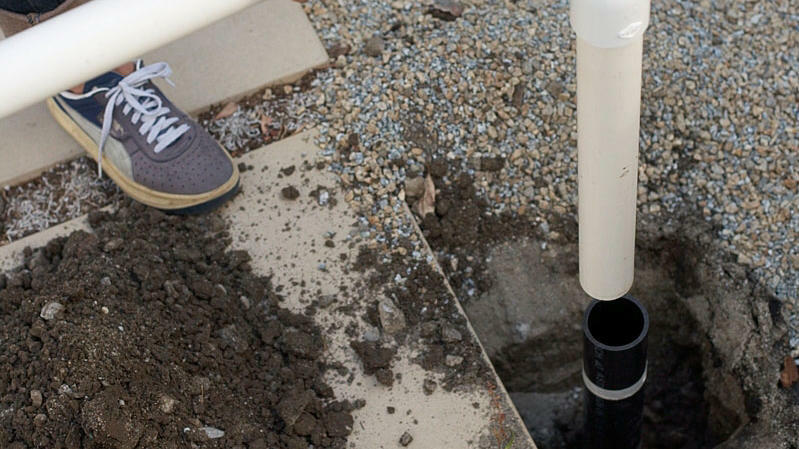 Slip short lengths of leftover PVC pipe into each L fitting, lift the frame, and slide the right front leg into the pipe sleeve already in the ground (see photo). Carefully mark where the other three holes should go, then repeat repeat instructions from steps 2 and 3. Spray-paint the frame’s top and legs. Let dry overnight, then disassemble the top to hang curtains. 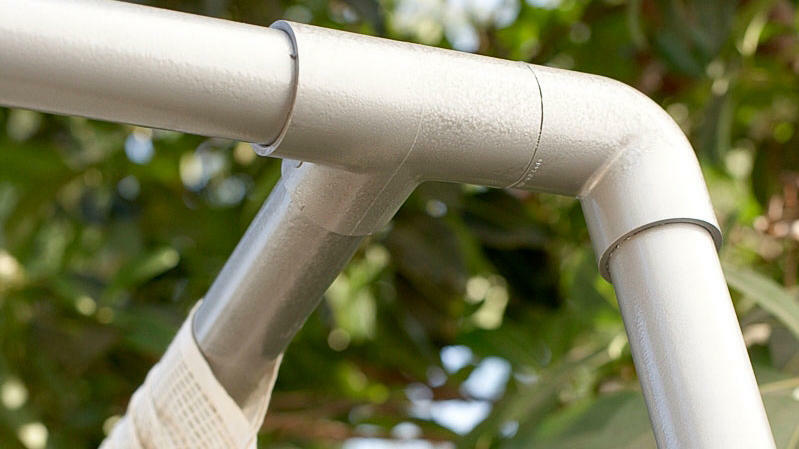 Tip: Slip legs into pipe sleeves to hold them upright for painting. With the help of a partner, hang curtains on each section of the frame’s top, then reassemble the top (see photo): Slip legs into the pipe sleeves and attach the top of the frame to L fittings. Using an electric drill, secure each joint with screws. 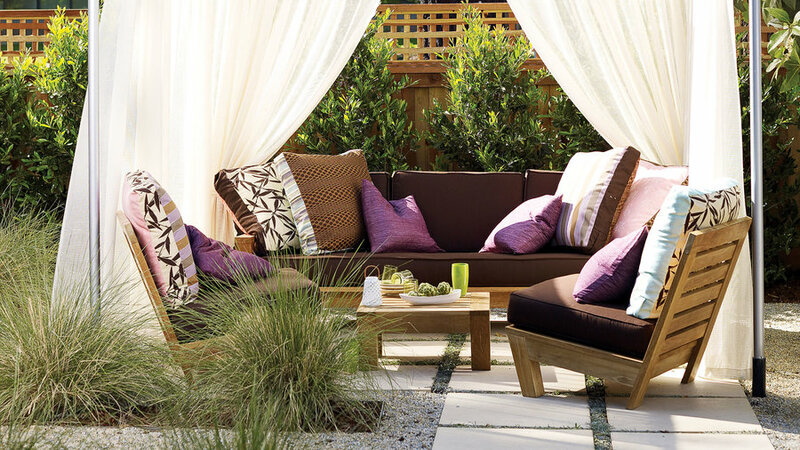 Tip: Use ready-made curtains with tabs. We love Ikea’s Bomull cotton curtains ($19.99 per pair; for stores); you’ll need 8 sets.